Petersfield U3A was formed in 1995 and currently has some 625 members and some 55 interest groups. We are a registered charity (no.1060354), and our day to day administration is carried out by a Management Committee of volunteers elected at the Annual General Meeting in October. Our accounting year ends on 31st August. Click to see Our Accounts 2016 - 2017. Each of our groups is self-supporting, taking responsibility for its own operating costs. 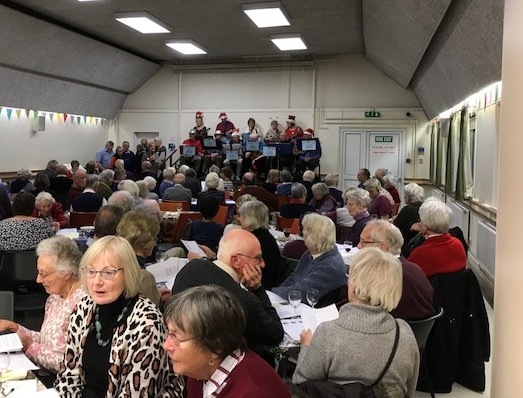 The interest groups are all led by volunteers on a self help basis, which lies at the heart of the U3A movement both nationally and internationally and membership of any particular group is limited by the space available at their meeting place. Our three monthly meetings with speakers take place at Petersfield Community Centre where many of the interest groups also meet. All of our members are welcome at these monthly meetings, but the interest groups have ongoing activities that require prior agreement for joining and contact with the Group Leader (Convenor) is essential. Our year, which runs from the beginning of September to the end of August, is well under way following both the AGM and our very successful annual Open Day in the first half of October. Revitalised by new members and new groups, we look forward to the future with optimism supported by a full calendar of events, meetings and social occasions. As we approach the end of 2017, there are over 1000 U3A branches with some 450,000 members in the UK. U3A`s are independently managed charitable associations with their own constitutions. Membership of The Third Age Trust(TAT) is a requirement in order to use the U3A name and logo, both of which are protected. Once registered, providing the aims and guiding principles of the Trust are adhered to, each local U3A is self-governing. The TAT offers a range of services to support and advise local U3As. A University of the Third Age is a learning co-operative of mature people not in full time employment, which enables members to share many educational, recreational, social and creative activities. Activities are organised mainly in small groups that meet regularly, often in each other’s homes. Members, through sharing their knowledge, skills and experience, learn from each other. To find out more,click Learning is for Life. Being a Petersfield U3A member offers you more than just membership of your interest or activity group. You are welcome at our monthly General Meetings, Arts & Heritage, Science & Technology, (A nominal small charge to cover hall hire may be payable). You can participate in national U3A events and activities - such as conferences, summer schools, research projects, photographic competitions, etc. 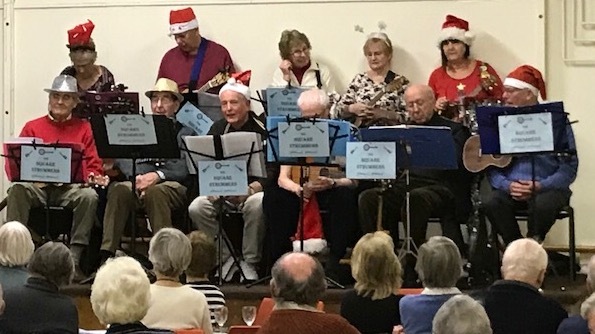 The opportunity to start your own activity group if one does not exist or failing that to have reciprocal membership with another local U3A that may have one. With such a diverse range of activity, insurance cover is important. As a member you are covered for your liability to others when taking part in a U3A activity including tours. Many meetings are held in member`s homes and there is cover for damage to that member`s property while hosting a U3A event and for any U3A equipment housed there. A summary of the insurance cover can viewed from the sidebar. We sincerely hope not, but if there is an accident or incident that may lead to an insurance claim.